Patna is the capital city of Bihar and has seen much growth and development in the recent decades. It has transformed itself into one of the prime cultural and business hubs in Patna and has become the destination today of a lot of aspiring youngsters. 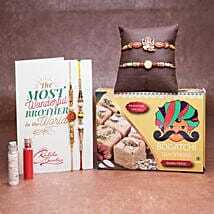 If your brother is presently based in Patna and you want to surprise him with a Rakhi gift hamper, now is your chance to do so. Raksha Bandhan has great cultural significance in India and nowhere else in the world is sibling love celebrated like this. 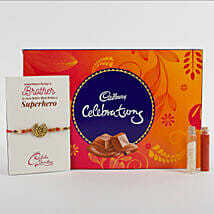 Send Rakhi to Patna so that you can share the joy with your brother. On this day, the sisters pray for the good health and long life of their brothers and tie the zardosi Rakhi on their wrists and the brothers in turn promise to care for their sisters and protect them from all harm. 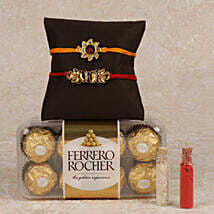 One can also send Rakhi for Bhaiya Bhabhi online and include the sister in law in the celebrations as well. Ferns N Petals is truly a one stop destination for all your Rakhi needs and there is no dearth of ideas to make the brother happy on this very special day. Make the online Rakhi delivery in Patna extra special with a wide range of gift options including dry fruits, chocolates and sweets. 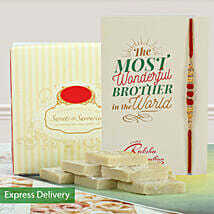 We can also enclose a special note for the brother that is sure to make his smile. 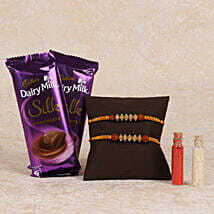 There are a wide range of Rakhis to choose from that is sure to leave the sister spoilt for choice. 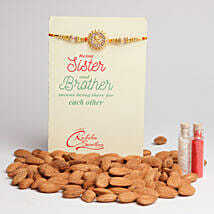 Order a set of 2 Rakhis online for both the brothers. There are Rakhis is delightful motifs and patterns that are made from silver and kundan Rakhi. 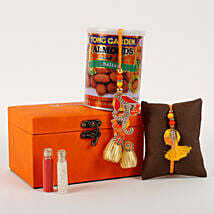 One can also buy Chandan and Rudraksh Rakhis along with other materials as well. 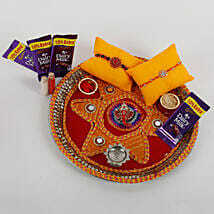 Ferns N Petals ensure that the Rakhi gifts reach the brother absolutely on time. The gifts will be delivered absolutely on time and one can also enjoy free shipping on this special day. 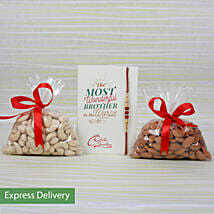 Rakhi same day delivery options are available in case one places the order on a short notice, as are Midnight delivery options. Ferns N Petals delivers to 150 countries and so no matter where the brother is located, the love and prayers of the sister are sure to reach him as siblings enjoy this beautiful occasion of Raksha Bandhan in their hearts even though they might be miles apart.